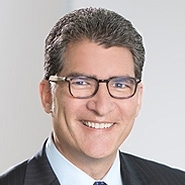 Partner Steve Zalesin was selected as The American Lawyer’s ‘Litigator of the Week’ for securing a federal jury verdict for The Coca-Cola Company in a landmark advertising dispute over juice labeling brought by POM Wonderful. On March 21, 2016, a California federal jury returned a verdict in our client’s favor after a six-day trial and less than a day of deliberation. The U.S. Supreme Court had remanded the case for trial in 2014, holding that FDA regulations authorizing our client’s label did not bar POM's suit. The jury rejected POM’s claims in full.